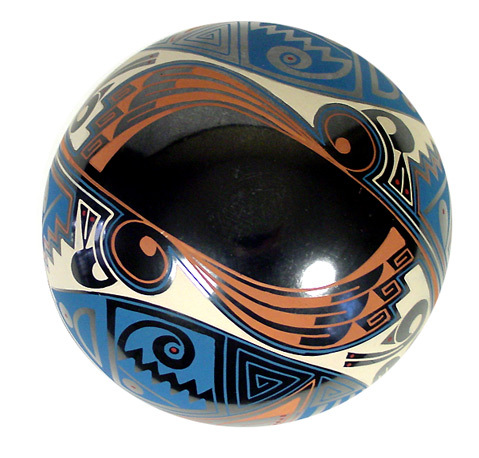 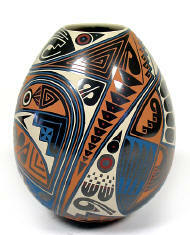 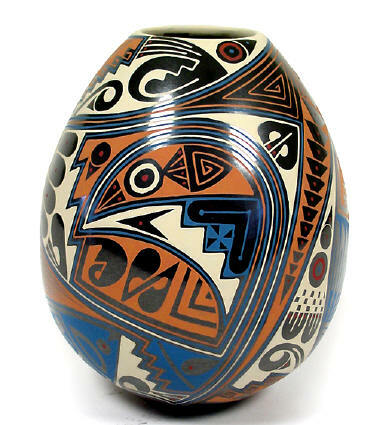 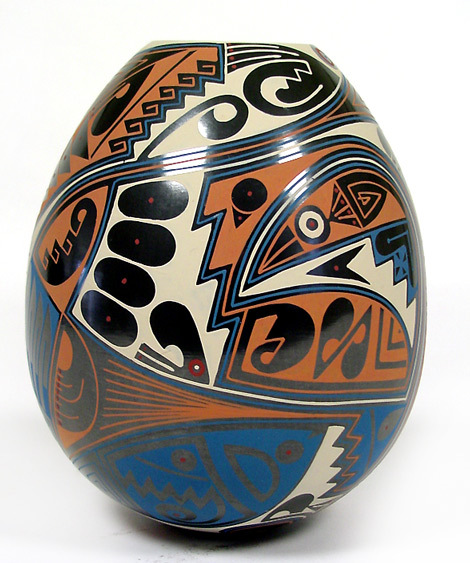 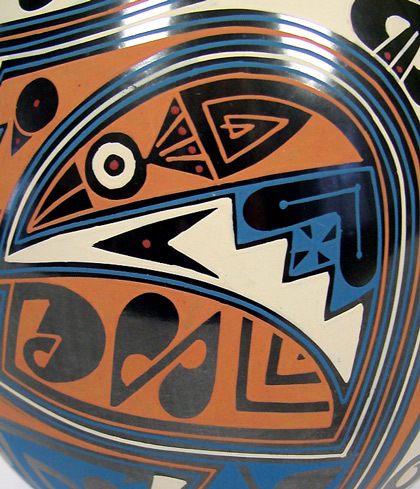 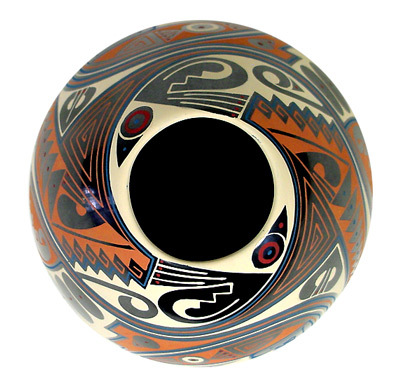 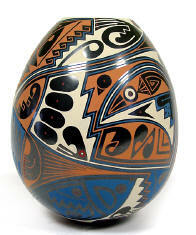 Striking fish and birds olla by Cesar Navarrete Ortiz painted in attractive blue, cream and burnt-orange hues. 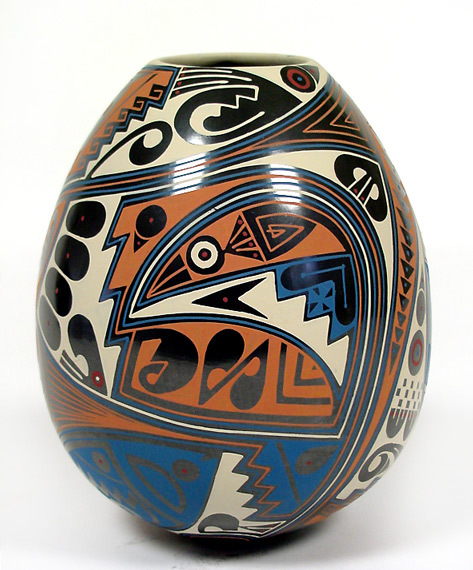 Beautifully painted in the Navarrete Ortiz style for which Eli and Cesar are well known. 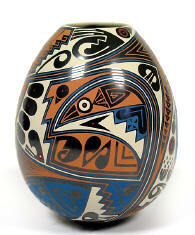 ©2000-2009 Fine Mexican Ceramics TM Art Gallery All rights reserved.